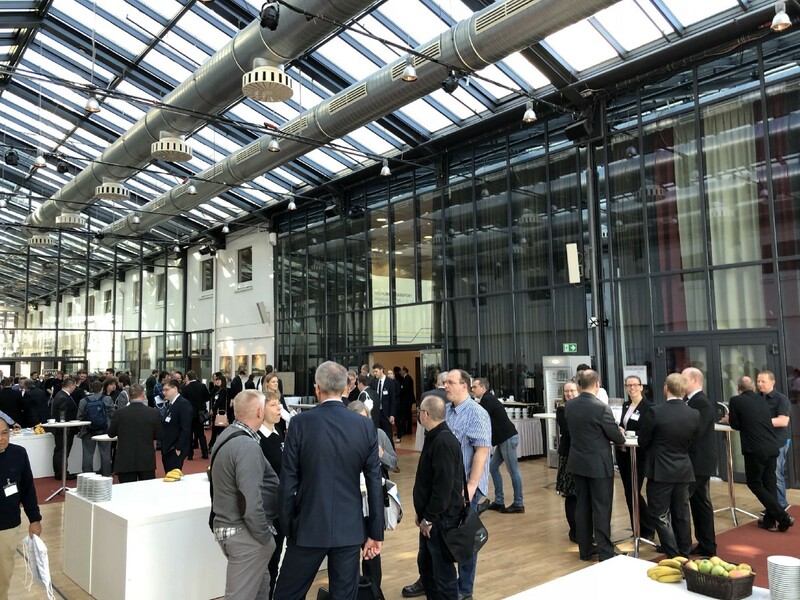 This week at a transport conference in Berlin, UrbanThings CEO Carl Partridge unveiled the Hex Tag to operators from Europe and further afield. This represents the first public outing of a core technology innovation behind Ticketless. A Hex Tag is a 3-in-1 combination of NFC, QR and Bluetooth used to uniquely identify a vehicle. By letting a passenger’s smartphone know the exact vehicle they’re travelling on, we can do something pretty exciting. We can flip tradition on its head and use your phone as a sole, trusted ticket validator. The result: a MaaS-ready, future-proof validation and fare collection system for 95% less capital investment than old-fashioned ticket machines. Hex Tag, say hello to buses, trains, bikes, e-taxis, rental scooters, autonomous vehicles — the flexibility and low cost of the format means that it can sit within any mobility service. The Ticketless app uses them to track not only when you’ve entered a vehicle, but also when you get off. This new, innovative form of Be-In/Be-Out ticketing ensures that passengers pay the best price for the transport that they use. More functionality, lower price. Seems like a no-brainer, doesn’t it? It makes you wonder why something like this wasn’t done sooner. The Hex Tag is the culmination of a lot of big advancements in mobile tech in recent years. It isn’t until now that all the pieces fit so perfectly together in the palms of passengers’ hands. Widespread 4G data coverage, robust biometric security, cross-platform NFC, leaner smarter Bluetooth… For the first time, people are now carrying fully secure smart payment systems in their pockets. Hex Tags allow transport operators to harness that power without any of the overheads of traditional hardware solutions. Ticketless and Hex Tags are more than just a way for operators to get low cost m-Ticketing. They’re a vision for the future. A future of smaller-occupancy on-demand transport vehicles which aren’t built to house bulky ticket machines. A future of sustainable cities with cycle share schemes. A future where people are free to design their own travel systems to suit their needs. A flexible future needs a system that can be deployed in days, not months, and doesn’t price innovative new players out of the game. One last thing. We’re not keeping Hex Tags to ourselves; we are releasing the format as an open specification for vehicle identification. These embedded vehicle IDs can integrate seamlessly and affordably with third party apps, unlock innovations in customer service, fault reporting, route optimisation, driver training… We can’t wait to see what the community comes up with. We can’t wait to share with you some examples of Hex Tags in action. Stay tuned over the coming months to learn more! Bluetooth. Remembered fondly by many for its part in sharing polyphonic ringtones in the schoolyard. Or perhaps for making the headset an integral part of businessperson chic. Bluetooth underwent a sort of gold rush between the tech hitting its first consumer devices in 2000 and its first billion 6 years later. MP3 players, digital cameras, mice and keyboard. No device category was safe. In the following years, the Bluetooth hype died down for a while. Exciting new tech like WiFi Direct, NFC, Miracast and AirPlay helped push it out of the limelight. But not to be deterred, Bluetooth is making a comeback. Audio has been a huge player in the Bluetooth renaissance. Affordable wireless speakers and decisions made by a few courageous phone manufacturers mean more people are keeping the setting switched on on their devices. Not to mention your Xbox One or PS4 controller, applications of Bluetooth for accessibility, pathfinding and even ice cubes. Because of this increased visibility, as well as some big updates to standard (Bluetooth Smart had big implications for use in the Internet of Things), we decided that it was time to bring Bluetooth to public transport. 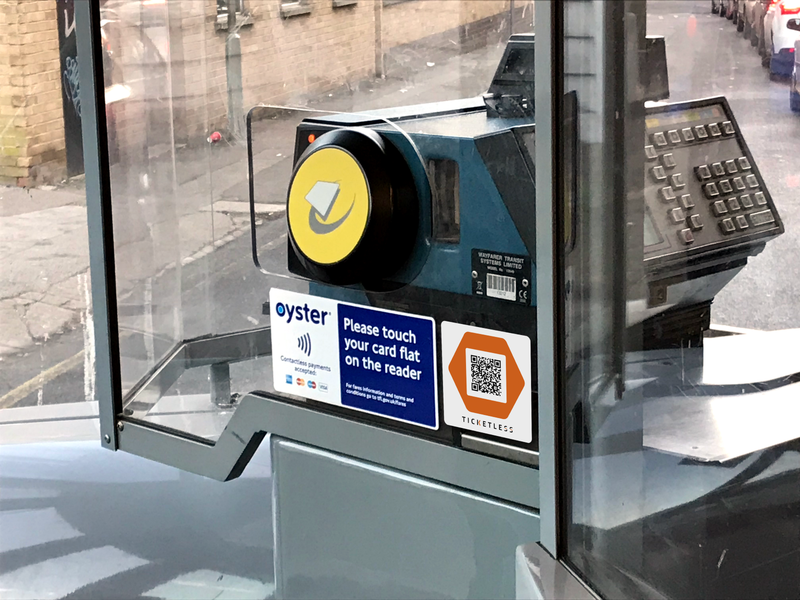 Our vision is one where passengers can use transport seamlessly, without wasteful paper tickets or expensive electronic ones, and beacons ensure that you always pay the best price. You can read more about Ticketless here. Despite the good news for Bluetooth, there are some persistent myths that continue to plague public opinion. Let’s have a quick run-though and shed some light on them. Back in the days of Bluetooth 1.0, sending files or using a headset could be a real power hog. Sure, phones had smaller batteries and less efficient antennae back then, but to say that the tech has come a long way since then would be an understatement.The max power consumption of Bluetooth Smart is only 15mA, 10% of the power of old school Bluetooth. With modern day smartphone batteries, you could use it all day and it would barely make a dent. Gone are the days of touching phones together to try and send things faster (Although Hot Knot looks like keeping that alive for a while). The body that manages Bluetooth specifications mandates that all devices need a range of at least 10 meters.Version 5 of the tech, which first saw the light of day on the Galaxy S8, can handle more than four times that at no additional power cost. I’m sure many of you reading have opened the Bluetooth menu on your phones or computers in a public place to see a list of dozens of devices. And that’s only those which are discoverable. 0000 or 1234. Everyone’s favourite pairing passwords. Newer versions of Bluetooth support simple pairing, which means that devices without screens (headphones, mice, keyboards) can pair with just a few taps or by using NFC.For a seamless travel experience, that’s still too hands-on for us. Thankfully, Bluetooth beacons don’t need to pair to transfer data when a user has a compatible app installed. As long as you have the Ticketless app, you can walk onto a bus or train and your ticket will be validated with your phone still in your bag. Bluetooth’s second wind is an exciting time and we can’t wait to see what other IoT innovations it will play a part in. When working in a small team, sometimes there’s no getting around the fact that only so much can be done simultaneously. Having a single job can be a luxury, and quiet spells are few and far between. In this kind of environment, it’s important to have key information available at a glance, and a number of tools exist to make that easier. There’s an ever-growing list of integrations with Slack and Microsoft Teams, not to mention Zapier and the classic IFTTT, which serve to surface relevant info in real-time. It’s a cinch to see updates to Zeplin screens in our #design Slack channel, or JIRA status changes via email. For our purposes, we wanted something more centralised. Something that we could build internally using our abundance of developer talent. And to that end, we decided to lay down the framework for our very own solution. Enter the UrbanThings dashboard. An Apple TV app that’s running on our office wall monitors and cycles through key info (with a few less vital bits, too). The app itself is relatively simple. It’s an endless carousel of Angular web pages. The pages themselves are defined in a custom format that allows attributes such as display order and time to be embedded. The Apple TV then plays these pages on a loop and you can use the remote to navigate, pause or restart the carousel. Starting with one of the nice-to-haves, and advantage of building a tvOS app is that a lot of the code from our Bus Checker apps can be re-used in the dashboard. For example, we can see the UK’s buses moving around on a map! Slack: We have a dedicated channel that lets us post messaged to the dashboard. Sort of like an office cork board! API monitoring: Our platforms team can keep an eye on server status. The company blog: When you find yourself reading this, we’re probably seeing this blog post on the dashboard… on the dashboard. Meta. The beauty of an in-house system is how easy it is to add more functionality. In a very exclusive peek behind the scenes, I can reveal that the next major feature will be a doorbell. Perfect for those trips to the shop when you just so happen to leave your door pass at your desk. The keen-eyed among you may have noticed the fancy new header on the Ticketless website. 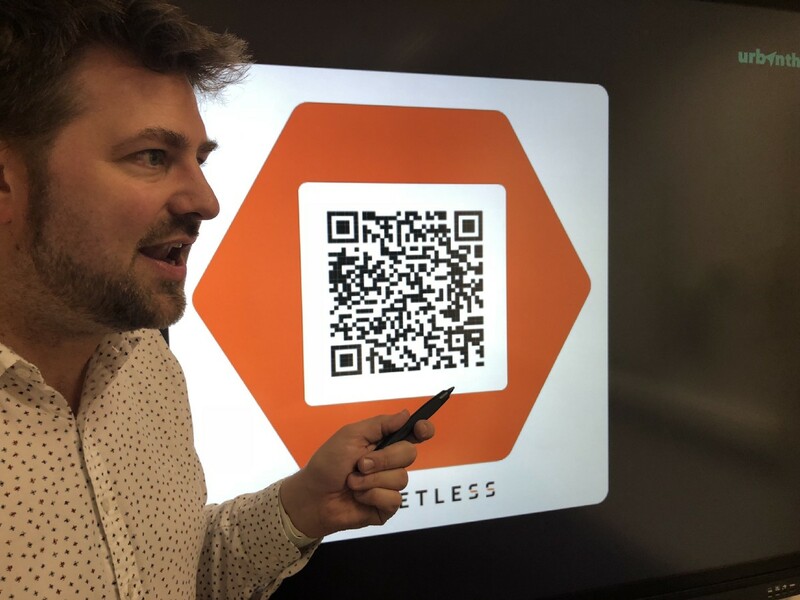 We put together a short video showing Ticketless in action to give a quick rundown of how operators can use the tech to take the fuss out of transport. If this is the first you’re hearing of Ticketless and you want to learn more, read up on it here. Last weekend saw the latest in our series of Bristol API hackathons, hosted alongside Connecting Bristol. We managed to round up a bunch of the area’s brightest minds and put them to work with the challenge of using open data to solve local issues in creative ways. We kicked things off bright and early at our scenic riverside venue with a rundown of the Bristol API and its capabilities. After that, everyone found their teammates and it was down to work with lots of discussions and sketches. If there’s one thing that was going to take tear these bright minds away from their projects, it was pizza. Initially worried we’d ordered way too much, we were very quickly proven wrong! After lunch, with the finish line looming, it was heads down in the final sprint before presenting. Against all odds, we managed to get a full house of presentations ready to deliver at the end of the day. FitCity was a prototype app with the aim of encouraging sustainable transport and exercise. Users would represent their local area and compete for the top spot on the leaderboard by ditching cars and cabs in favor of walking, cycling, and public transport. The greener the mode of transport, the more points a user would get. Daily goals would encourage players to get off the bus one stop earlier or take a stroll through local scenery instead of jumping in a car. The benefits of the app weren’t just for the players, though. Collecting data would allow the devs to identify fit and unfit areas and drill down into why people from certain areas are less likely to use sustainable modes of transport, which could affect policy going forward. We then heard from Team Efficace, whose project involved crunching the numbers on vehicle emissions and determining whether buses were as clean compared to cars as they claim to be. Buses allegedly spend most of their time empty or with very few passengers. It was calculated that for some journeys in Bristol, a Euro 3 standard bus can output 16 times more NOx than a diesel car. While a claim that a car is greener than a bus in some circumstances might ruffle a few feathers in the SusTrans industry, it made a very good case for demand-responsive bus transport. It could definitely benefit the environment to adjust vehicle sizes depending on demand, instead of having large vehicles on loops throughout the day. Up next, we had l’Art Bus. A prototype travel companion that showcased local art and music along a route. The team foresaw stale or empty advertising space on buses being repurposed to showcase local artists and taking people’s eyes off of their phones during bus journeys. Studies have shown that taking time to appreciate art is great for mental relaxation. And with an estimated 1 in 4 people suffering from some form of mental illness, it’s difficult to overstate the potential for positive impact having art displays on public transport. The team also saw the art as a potential conversation starter for bus passengers. Artists could also be supported by Bristol Pound donations, to support the local economy. Last to take the stage were Two Men and a GIS Guy who presented a visualization of commuter patterns in the ward various wards of Bristol. They determined how many people commuted by car into or through each ward in each cardinal direction, but the bulk of their focus was on what percentage of commuters drove to jobs within the same ward. The primary aim of the study was to identify hotspots for short-distance (under 5km) commutes by car and theorize as to why more sustainable modes of transport aren’t used instead. Avonmouth stood out as an area where a large proportion of the population drives less than 500m to work. The day’s runners-up were l’Art Bus. They made extensive use of the Bristol API and put it towards aiding a cause that was at the forefront of a lot of minds so close to Mental Health Awareness Day. There’s the potential for a lot of funding in the area, it would be great to see the project developed further. We’re very pleased to announce that the first place prize of the day went to Two Men and a GIS Guy. The trio put together a very detailed and well-thought-through presentation on how the information on commuter routes could be used by councils to improve sustainable transport links in out-of-town areas. And with that, it’s time to call it a day on another successful hackathon. Look forward to seeing you at the next one in the new year! We’re proud to announce that we’ve joined ITxPT as an associate member. The Information Technology for Public Transport initiative aims to develop standards for Plug & Play IT solution for public transport operators. With the collective expertise and efforts of global industry leaders, they hope to ensure that the rollout of quality, innovative transport technology is as smooth as possible. As new mobility services emerge, UrbanThings hopes to play a vital part in generating passenger data and facilitating ticketless travel. The ability to interoperate with a wide variety of fleets is a vital foundation of this. We’re very excited to take the covers off of something we’ve been working hard on for a while now. 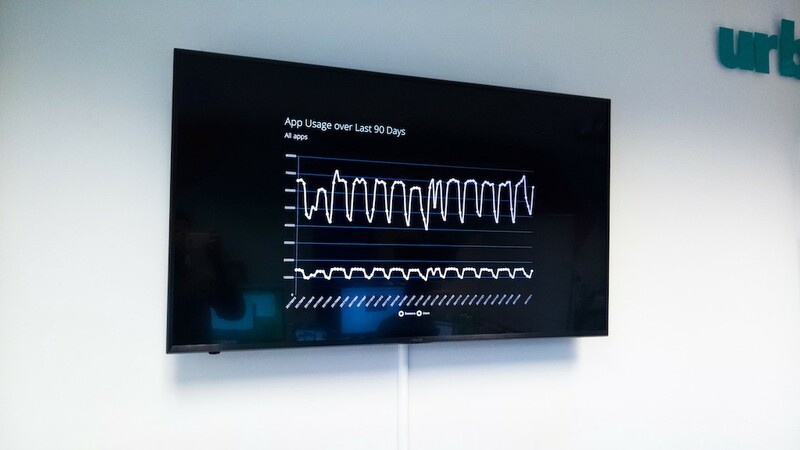 Bristol City Council awarded the contract to develop and maintain the Bristol API to UrbanThings after a successful 12-month demonstrator period. Our 4th hackathon co-hosted with Bristol City Council was a success! Read all about some of the great ideas our hackers came up with. First things first, a huge thank you to OVO Energy for hosting us at their beautiful HQ, to Bristol City Council for running proceedings with us and, of course, everyone who turned up on the day to put their app-making skills to the test. Four teams of developers, designers and hobbyists put their heads together to come up with creative and practical solutions to issues faced by sustainable transport in the area. They had access to The Bristol API and our brand new iOS and Android SDKs, the rest was up to their imagination. A day’s worth of pizza and beer later and it’s our pleasure to show off what they built.